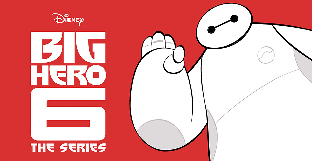 Production has begun on Disney XD‘s new, animated Big Hero 6 TV series. The new show is based on the Disney film of the same name, which was inspired by the Marvel comics. Mark McCorkle and Bob Schooley, creators and executive producers of the Kim Possible TV series, are executive producing. Kim Possible‘s Nick Filippi is set as executive producer and supervising director. “Big Hero 6,” an animated television series for kids, tweens and families based on Walt Disney Animation Studios’ Academy Award-winning feature film inspired by the Marvel comics of the same name, has begun production for a 2017 premiere on Disney XD platforms around the world. 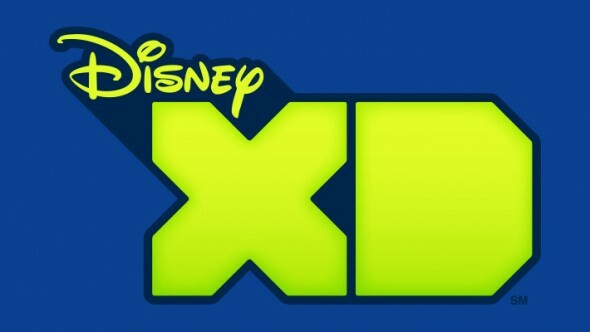 Emmy Award-winning producers Mark McCorkle and Bob Schooley, creators and executive producers of the global hit Disney Channel series “Kim Possible,” are the executive producers. The series was announced today by Gary Marsh, president and chief creative officer, Disney Channels Worldwide. From the studio that created “Frozen,” “Tangled” and “Wreck-It Ralph,” the Academy Award-winning “Big Hero 6″ is the 54th animated feature from Walt Disney Animation Studios. The action-packed comedy centers on the special bond that develops between an inflatable robot and a young prodigy as they and their close friends seek to solve a mystery that threatens the city of San Fransokyo. Directed by Don Hall and Chris Williams and produced by Roy Conli, “Big Hero 6″ was released in October 2014 and became the biggest animated film of the year with over $657 million worldwide. In addition to being named Best Animated Picture by the Academy of Motion Picture Arts and Sciences, it was nominated for Golden Globe, Critics Choice and BAFTA awards, and was the recipient of five Visual Effects Society Awards, the most ever for an animated feature, as well as a Cinema Audio Society Award and a Kids’ Choice Award for Favorite Animated Movie. What do you think? Are you a fan of the comics and film? How do you like the sound of Disney XD’s upcoming Big Hero 6 TV show? Let us know, below. More about: Big Hero 6, Big Hero 6: canceled or renewed?, Disney XD TV shows: canceled or renewed?